Invitations can be simple yet powerful. 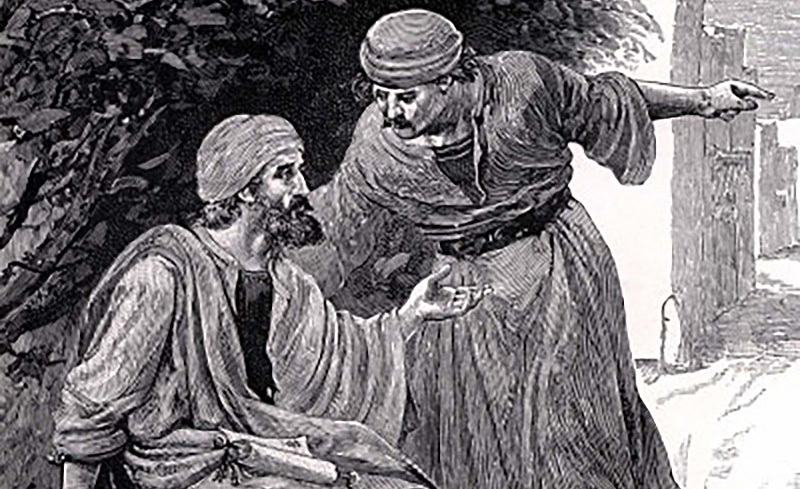 Consider how Jesus’ first disciples encounter the Lord in John chapter 1. Believers COME TO SEE the truth of Jesus in different ways. In John 1:37-50, two already interested disciples approach Jesus and follow Him after getting to know Him more. One of those new disciples invites his brother who follows right away. One follows after an invitation from Jesus Himself. This one invites another who is skeptical at first but believes after coming to terms with who Jesus was. Was your experience like any of these? However we come to know Christ, we find, as Simon and Nathanael did, that He knew us all along. Consider the simple invitation to believe: COME AND SEE. “Come” invites faith. We either take that first step upon seeing God’s work, or with a measure of doubt, or we step without seeing. We “see” when we are convinced that Jesus is who He claimed to be, the Savior we desperately need. When we witness of God’s love and salvation to our neighbors, we extend the same simple invitation. We don’t need all the answers ourselves, but we can invite someone—to your church, to your home, to your café table, to a discussion of this Jesus—to “come and see.” The Lord already knows where they’re coming from, and His Spirit will help them see.